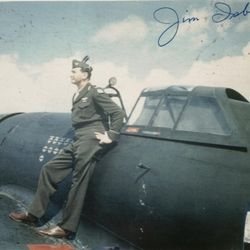 This site is a tribute to those who served with the 458th Bomb Group during World War II. It is also a tribute to Crew 74, of which my father, Samuel D. Scorza, was the navigator. 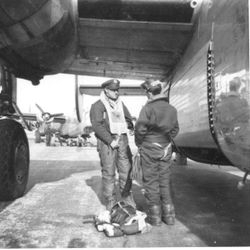 My father was assigned to the 458th Bombardment Group (H) in October 1943. 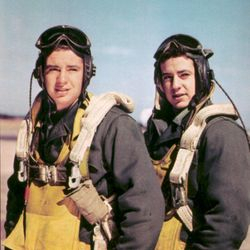 He had just completed navigation training at San Marcos, Texas, and the group was nearing its final stages in assigning crews to the newly formed squadrons in Tonopah, Nevada. 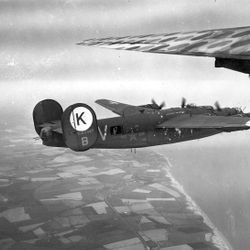 After training, the crews flew the 'Southern Route' to England in January 1944, arriving at Horsham St. Faith near Norwich in February. 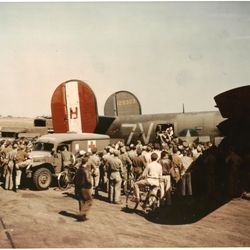 The group flew its first combat mission on March 2, 1944. 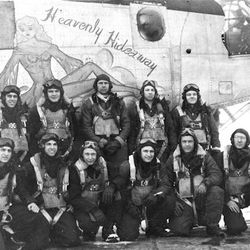 Crew 74 completed their tour of 30 missions in June 1944. 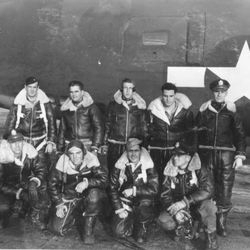 When I first started researching my dad's crew, I was very disappointed at how little there was to be found on the 458th Bomb Group. 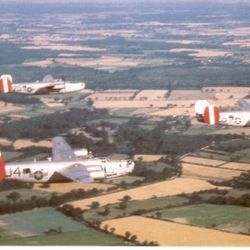 Other than four volumes of a very good History of the 458th Bomb Group published many years ago by George Reynolds, the group's historian, there was not much on the 458th. 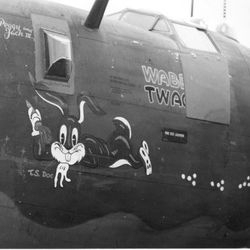 Compared to some of the other bomb groups in the 8th Air Force, the 458th, it seemed, was a ghost group. That is one of the reasons for this website. 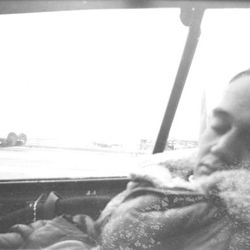 Over the course of the last several years I have found mission records, photos, Missing Air Crew Reports (MACR), and many other items of interest about the group. I became fascinated with all of those associated with the 458th. I have had the privilege to speak with numerous veterans and their family members over the phone, and have corresponded with many more via mail and email. Every single one of these men has been very forthcoming and generous in my numerous requests for information. It is because of their very kind contributions that this web page is possible. It was the result of this continued correspondence with veterans and their families that allowed me to collaborate with two amazing individuals, Ron Mackay and Mike Bailey, in 2009. 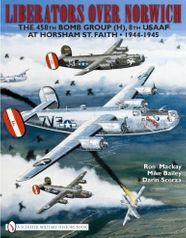 Together, we were able to put together a comprehensive history of the 458th Bombardment Group from training in Tonopah, Nevada in the winter of 1943, through the German surrender in 1945. It was published by Schiffer Books in October 2010. It can be found on Amazon or Schiffer Books. In the course of my research, I very often come to find that the information I seek is available, but at a cost. 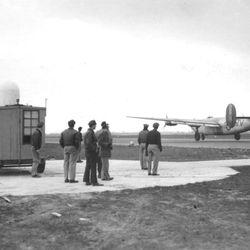 The 458th Bombardment Group has 63 boxes of records stored at the National Archives. These records can be ordered on CD or paper, the cost is currently about $0.80 per page. Documents consist of Operational Summaries, Mission Reports, Group Commander Reports, etc. 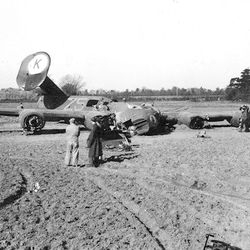 Also available from Internet sources are aircraft Accident Reports (most with photos); and unit, parent unit, and sub-unit records on microfilm. These records are generally $30.00 or less. Some of these documents and microfilm reels (CDs) have been given to me by other researchers, but I have also purchased quite a number of these records, and most of them appear on this site in one form or another, many in their entirety. I have also been able to send numerous documents to family members seeking information on their 458th veteran or to the veterans themselves. The website also has associated costs with upkeep and hosting. Over the 15 years this site has been online, hosting costs have risen dramatically. In the beginning, funding the site was not an issue, but these costs have become substantial over the past five years or so. For these reasons I have created a Donations page. Any amount is very much appreciated and will be used solely for the acquisition of 458th materials and the maintenance of this website. If you wish to honor an individual or group, I will gladly post that information on the Donations page. Thank you very much for anything you can give!! Please sign our GUEST BOOK or SEND ME A MESSAGE using the form below. This website is a work in progress. 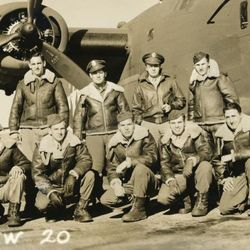 If you are in possession of photos, documents, stories, or other memorabilia from the group, please consider sharing it with the site and help preserve the history of this group. I welcome any and all comments. Please use the form below to send me a message. My apologies for being very behind on updating the website. Life has taken a busy turn over the past six months or so, but please know that I still manage work on 458th material most days of the week. 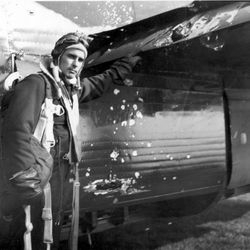 01/23/19: Added Laurence Haynes Crew page to the 752BS. 04/17/19: Added Paul Craven Crew page to the 752BS. 04/18/19: Added Robert Hadden Crew to 755BS. 06/08/18: Added the Helfrecht Crew page to the 754BS. 06/12/18: Added 42-95008 Able Mabel to "Group Aircraft" page. 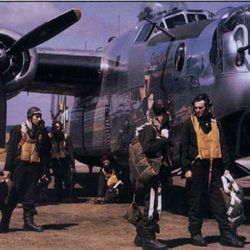 06/12/18: Added the Everett Jones Crew page to the 754BS. The information contained in this site including all images, illustrations, designs, photographs, video clips, writings and other materials that appear herein are copyrights, trademarks, intellectual property owned, controlled, or licensed by 458bg.com and are the property of their respective owners. Permission is granted to display, copy, distribute, download, and print in hard copy portions of this site for NON-PROFIT, INFORMATIONAL PURPOSES ONLY.